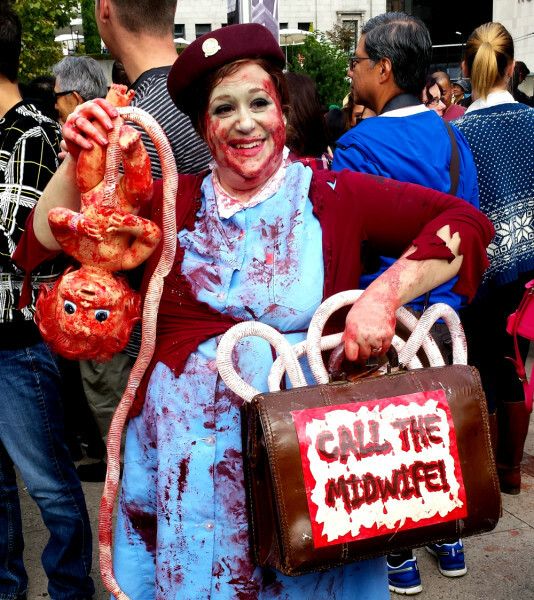 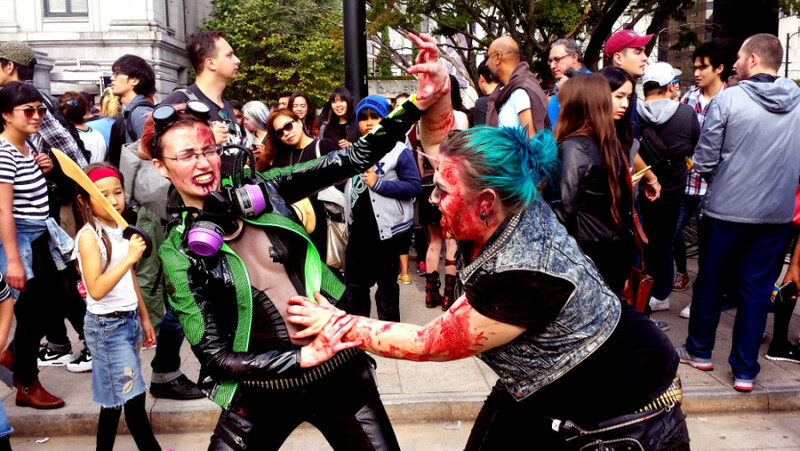 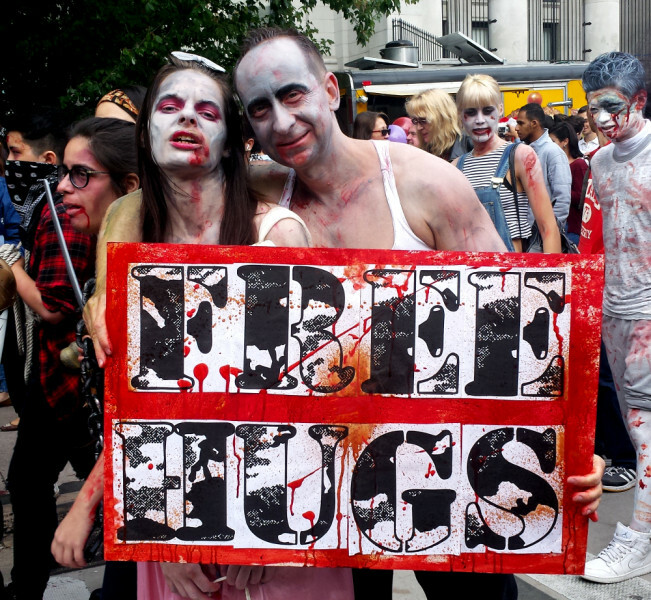 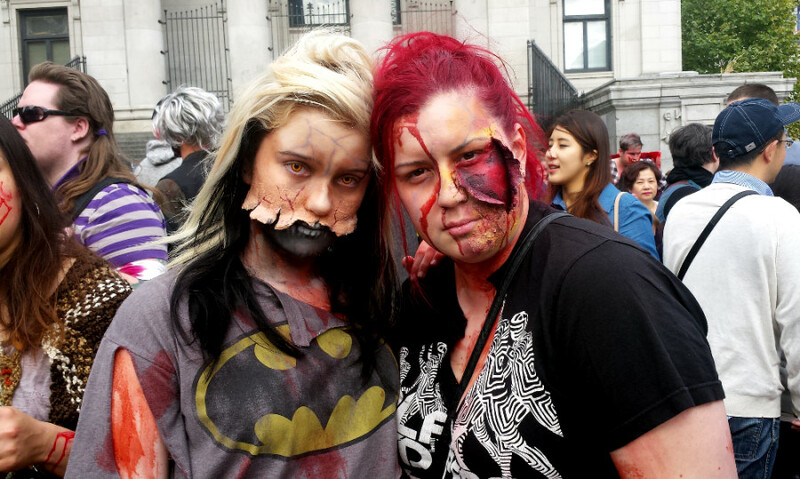 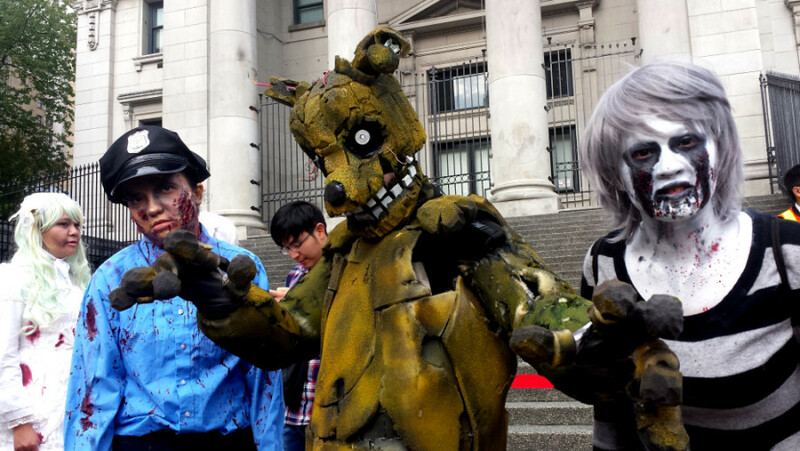 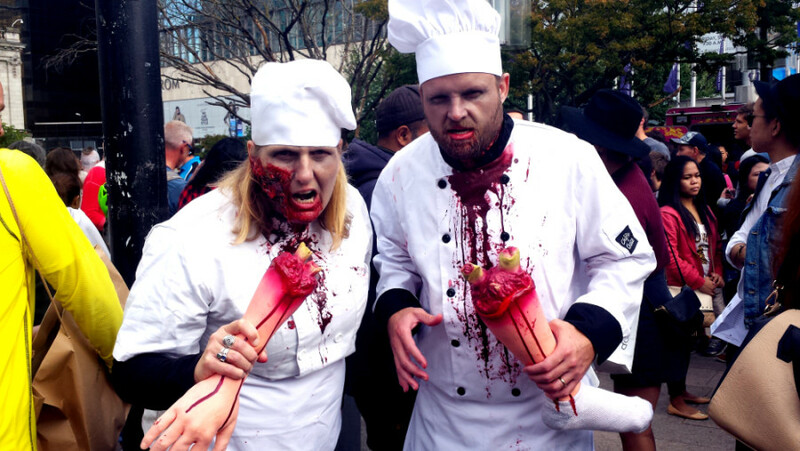 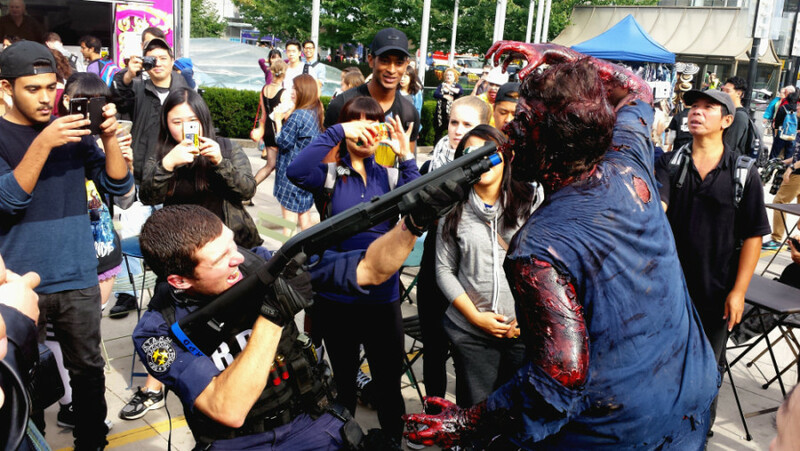 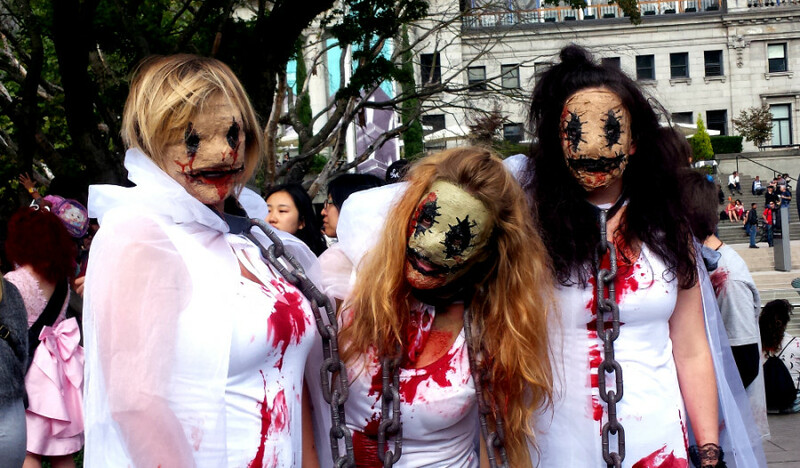 Hundreds of zombies and thousands of spectators gathered at the Vancouver Art Gallery on September 5 for the annual Zombie Walk, a celebration of the undead in bloody costumes and gory makeup. 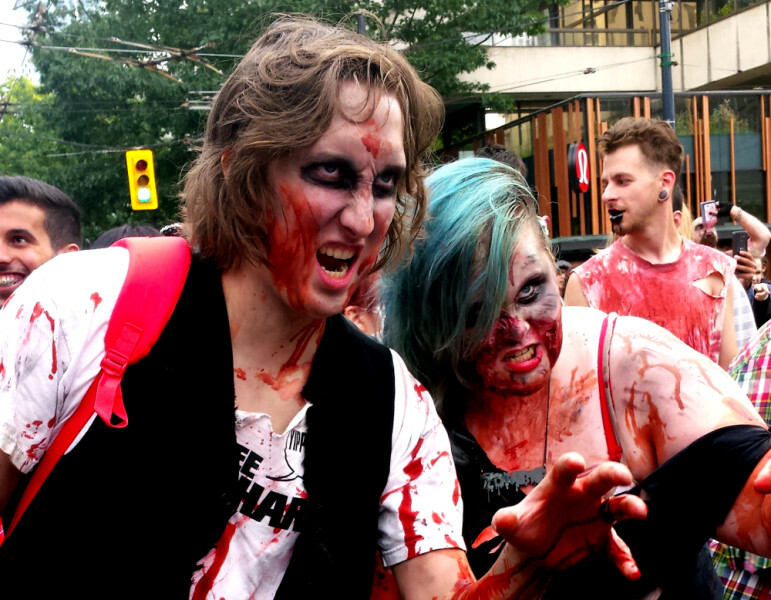 The apocalypse began at the Vancouver Art Gallery steps on Robson street, where zombies moaned, groaned and posed for pictures with tourists. 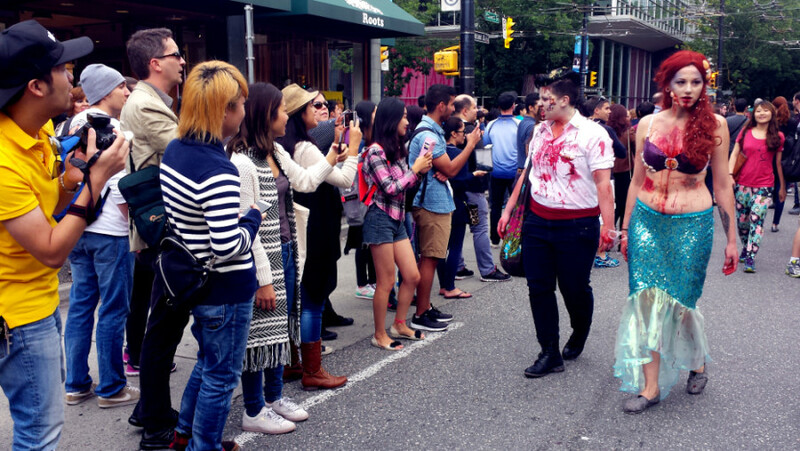 The parade then wound its way down to English Bay to catch the last of the sunbathers enjoying the summer. 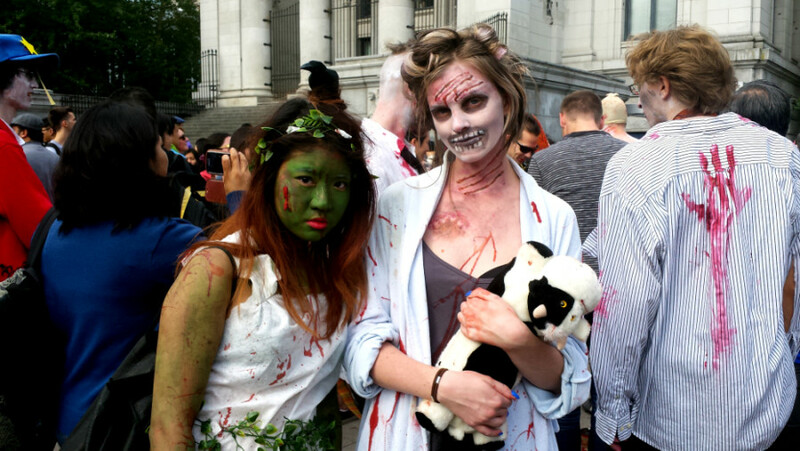 Kaitlin Brown of Ladner was one of the many zombies in attendance, and told Vancity Buzz that she is a long-time fan of the horror genre. 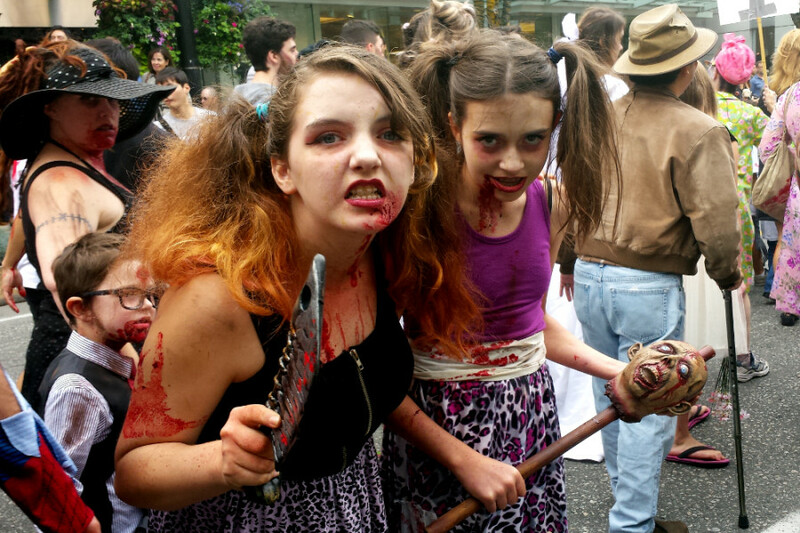 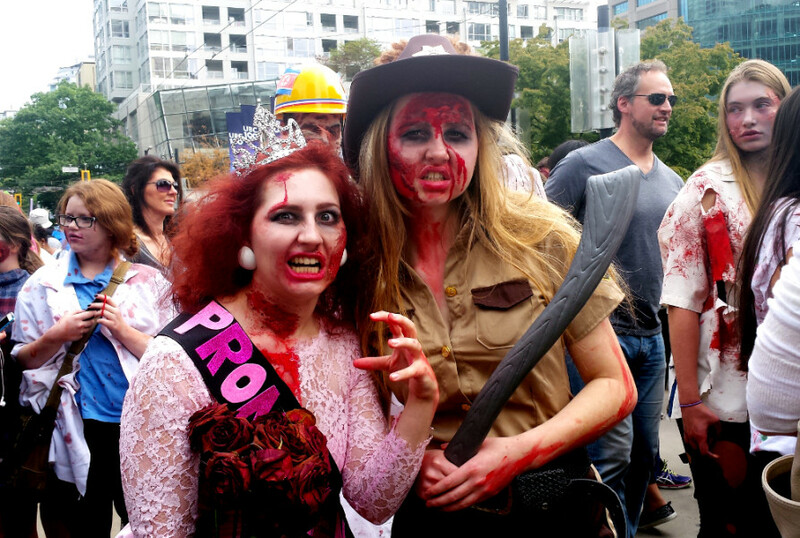 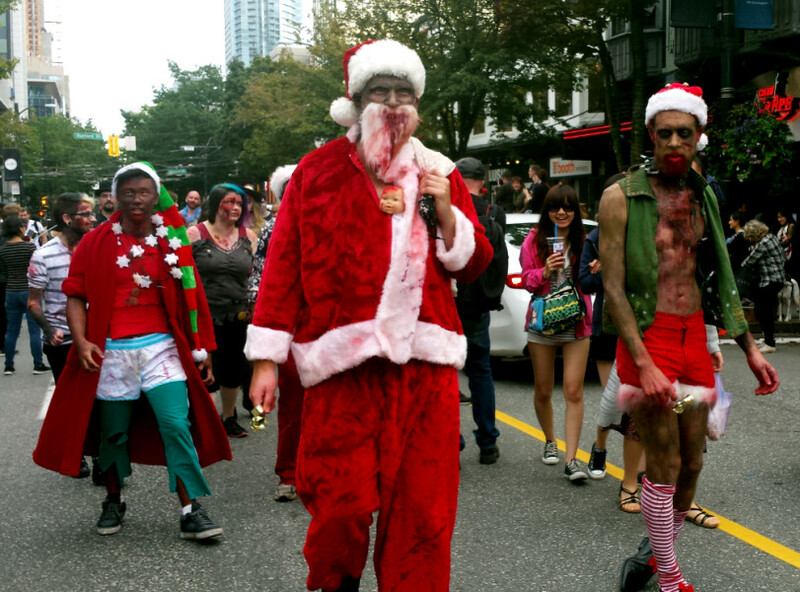 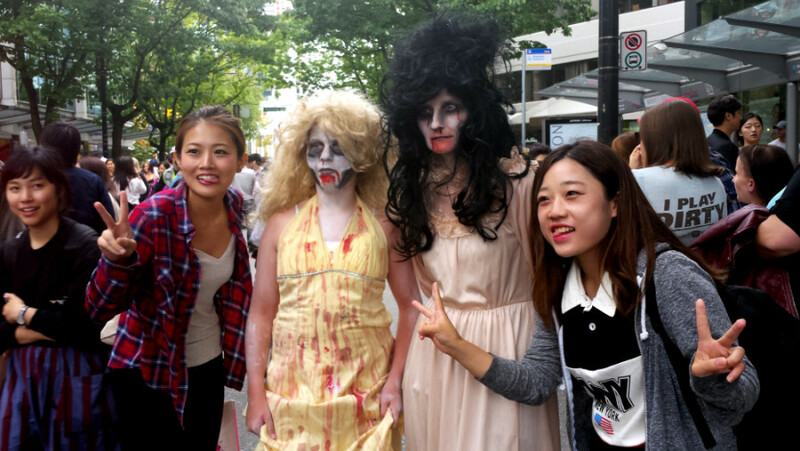 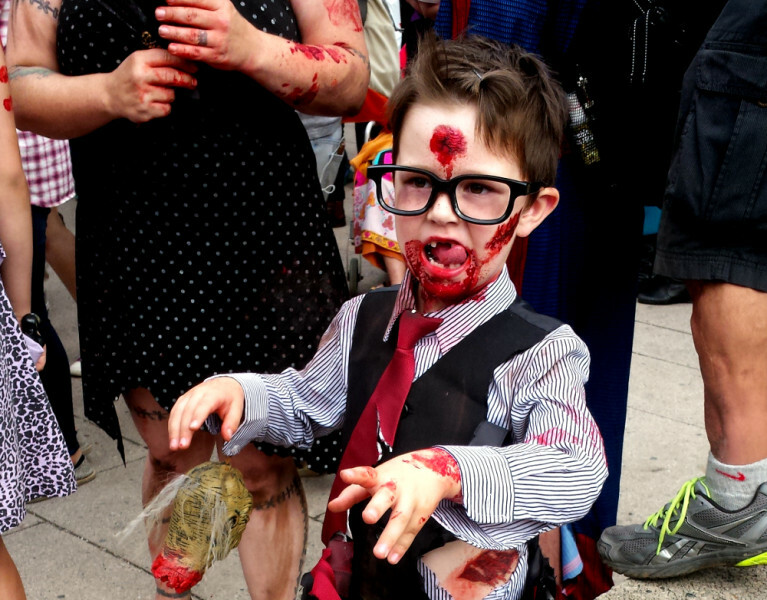 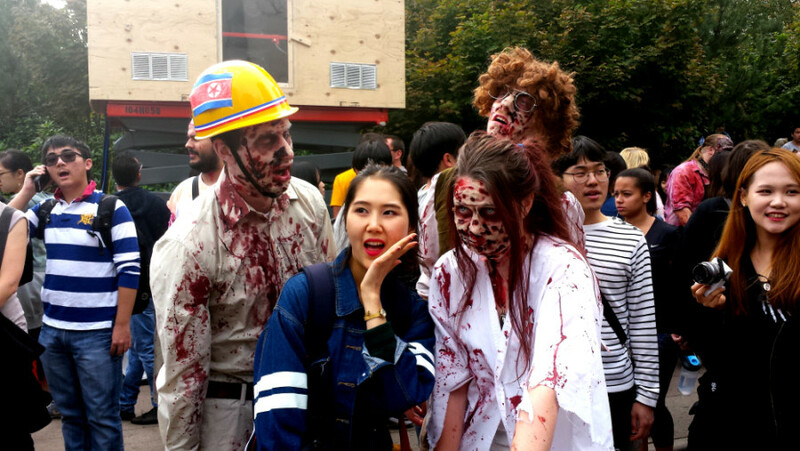 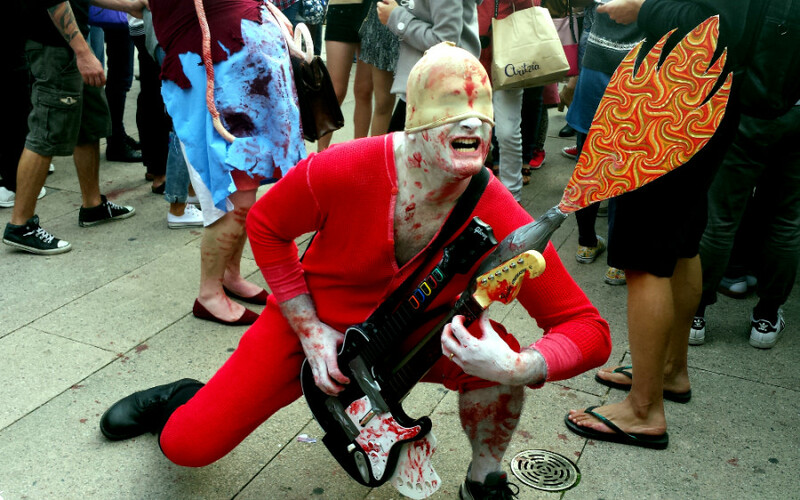 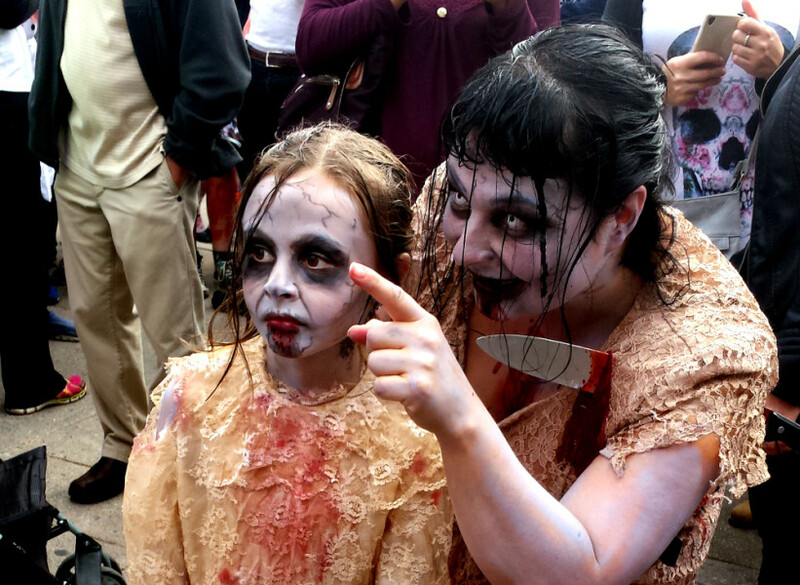 “This is my seventh zombie walk, but I’ve been a horror fan for life. 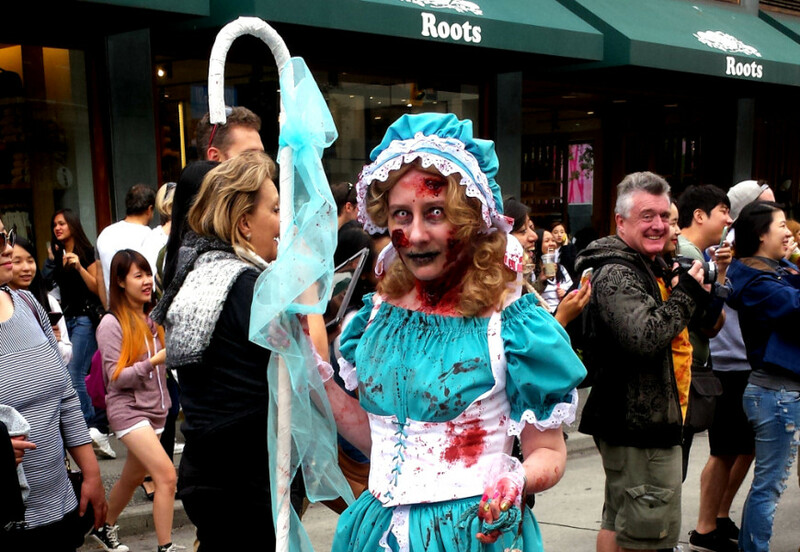 28 Days Later was my first favourite zombie movie,” said Brown, who proudly took transit to the event in full makeup and costume.